Providing quality patient care that is efficient, accurate and delivered quickly. Coordinating the delivery of patient care to reduce the current fragmented care model. Modernizing Medicare to provide a reimbursement model with better and safer patient outcomes. Enabling health care consumers to engage in their care and to be accountable for their own health. 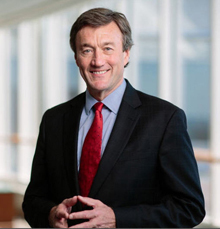 Watch for Dr. Noseworthy's post next week featuring his insights from the World Economic Forum Annual Meeting!